There are two paces to this book: the slower first half and the blindingly fast second half. At first it took a little bit to get into the slower pacing , but when I did I found it to be really tense and suspenseful. It felt like it matched the pace of a typical police investigation: not all flash and high tech labs and car chases like most crime TV shows/ movies. It was immersive and atmospheric and really helped to set up the story for the breakneck speed of the second half. The best part of this book is how well planned it is. The author allows you to think that you have figured out the mystery – only to yank the rug out from under you. I don’t think I’ve ever read a book that uses unreliable narrators as well as Gone Girl does. Even when you think you have all the clues or have outsmarted the book – another twist or airtight plan comes to fruition. Another fascinating part of reading this story was that I found myself rooting for both Nick and Amy at different points. To be clear – neither of them are good people – but it takes a strong writer to get someone to take the side of a cheating husband or a psychopathic wife. Would I recommend Gone Girl? Absolutely! If you’re one of the few people that hasn’t read this book yet, do yourself a favor and read it before seeing the movie. It’s a near perfect example of what a domestic thriller book can be, and my favorite read of 2019 so far. 4/5. I have seen this around but haven’t had the mood to pick it up yet.. Awesome review! I just might read the book before I try to watch the movie.. I seem to be one of the few who didn’t jump on this one fast enough and it passed me by. I didn’t like the movie, but I might like the book. I read this book in 2017 and loved it!!! I’m so glad to see that you enjoyed it! I’ve read a few books by Flynn and she’s not quite my style. Her writing just makes me…uncomfortable? But maybe that’s the point, either way stellar review! 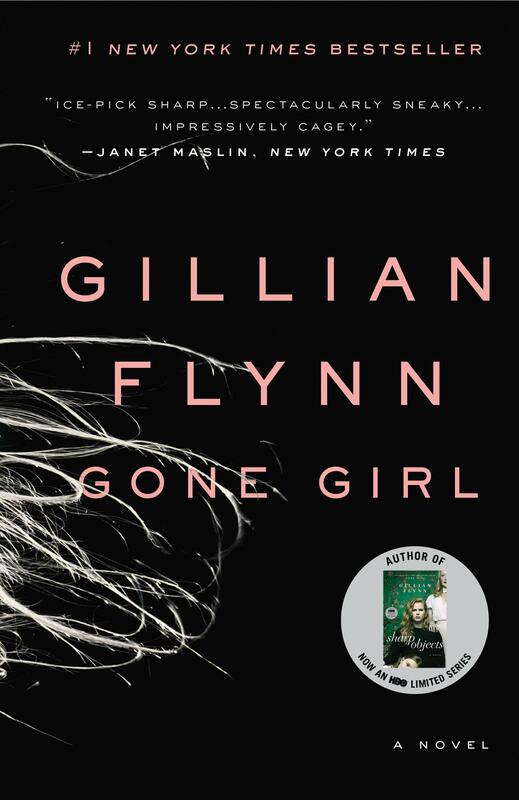 I just read this book for the first time, and it kicked off 2019 as my “year of reading.” I absolutely loved Gone Girl, and felt very similarly to you. I was so impressed by the author’s ability to map out everything in such a complex and inter-woven way. I felt very inspired, with very genuine surprises throughout. Great review! Gillian Flynn is a genius. Glad you enjoyed this one! I know I would get completely hooked by this thriller and the book was just so overhyped that I lost interest but I do want to read it. I’ve had this book for a long time ans never gotten around to reading it. I must do soon. Great review! This book is so good and I think that this opened another door for the household thriller! The writing is so good! At some point, I was like OMG she is crazy! and then OMG he is horrible! haha you are so right! Thank you for such a good review! What did you think about the ending? All of Gillian Flynn’s book are like this. Gone Girl was my first Flynn novel and I still remember flipping off my bed and screaming with the twist. Dark Places and Sharp Objects have similar twists though in different ways. Suffice it to say Flynn is one of my top 10 authors. Great review I absolutely love this book and the movie I am really glad I am not the only one who loves this book. Thank you so much for sharing your awesome post. great review! It isn’t really my genre, but maybe someday haha.. I haven’t read it yet, but. my husband watched the movie and told me everything…spoiler to the max. I loved this one too when I read it. I completely agree with your review. I want to read this. Great review. I love this book and the movie adaptation!! Great review! I really enjoyed Gone Girl as well! This book is one of my most favorite books of all time. I loved the movie version as well.